As readers, we are always curious about the inspiration behind the stories we love—not just the big ideas, but the details, too. This curiosity is what prompted us to ask about the people, places, and things that authors borrowed from real life to build their fictional worlds and deepen their characters’ journeys. 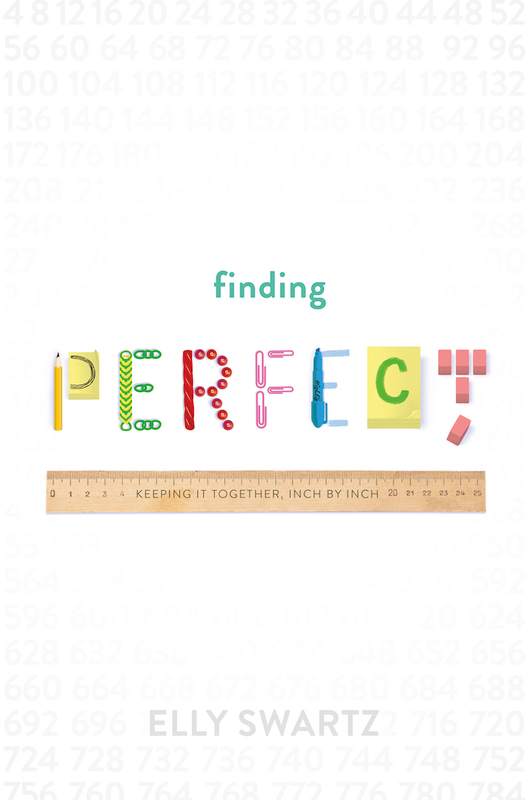 Finding Perfect is the story of Molly Nathans, a girl who finds perfection in the number four, her perfectly-aligned glass ornaments, and the words on a page of poetry. But when Molly’s mom takes a job in another town, Molly’s perfectly-ordered world spins out of her control, and she must find the courage to seek answers to questions she is afraid to ask. We asked author Elly Swartz to share with us how a specific person, place, and thing inspired her newest novel. Here’s what Elly had to say. Finding Perfect was a six-year journey that wound its way into my heart. 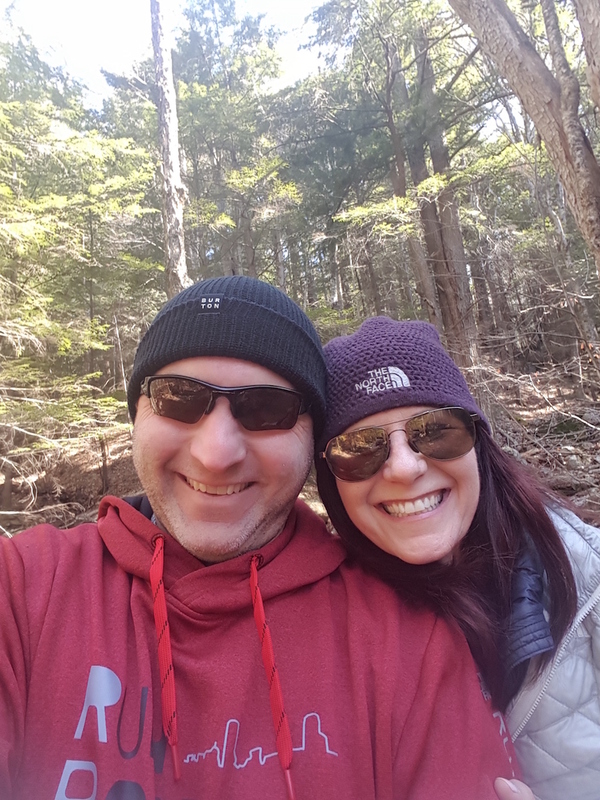 I wrote this story because Molly came into my life and wouldn’t leave until I shared her story. She knew there were 500,000 kids with OCD and she wanted them to know they were not alone. They were not one thing. They were not only OCD. They were so much more. They were sisters and brothers and soccer players and singers and trivia experts and dancers and readers. So, I had to tell her story. 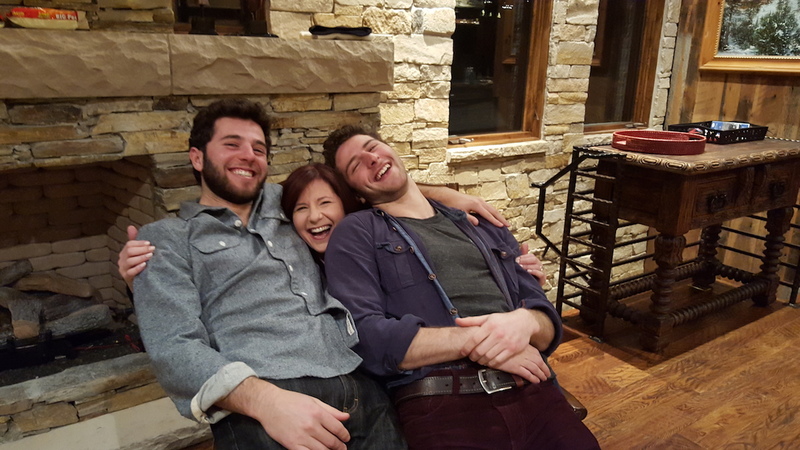 And, my inspiration, like all the wonderful things in my life, came from my family. My husband and sons believed in this story. They believed in me. It was their unwavering and unconditional love and confidence in me that allowed me to keep writing, revising, and reimagining until Molly’s story was on the page. Above the fireplace in my kitchen is a photo of my boys when they were little, with our then-dog named Casey. The picture sits next to a sign that says, It’s All About Family. For me, family is the place that feels like home. That’s where everything stems from. It’s the place where your heart is. For Molly, too, place is less about a physical space, and more about being where she is surrounded by the people she loves the most, the people who are her family. That’s why her mom moving to Toronto, away from family, away from her, was so hard. For Molly, like me, the place that matters most is the place where your family is. Molly and I have another thing in common. Candy. Twizzlers, in particular. 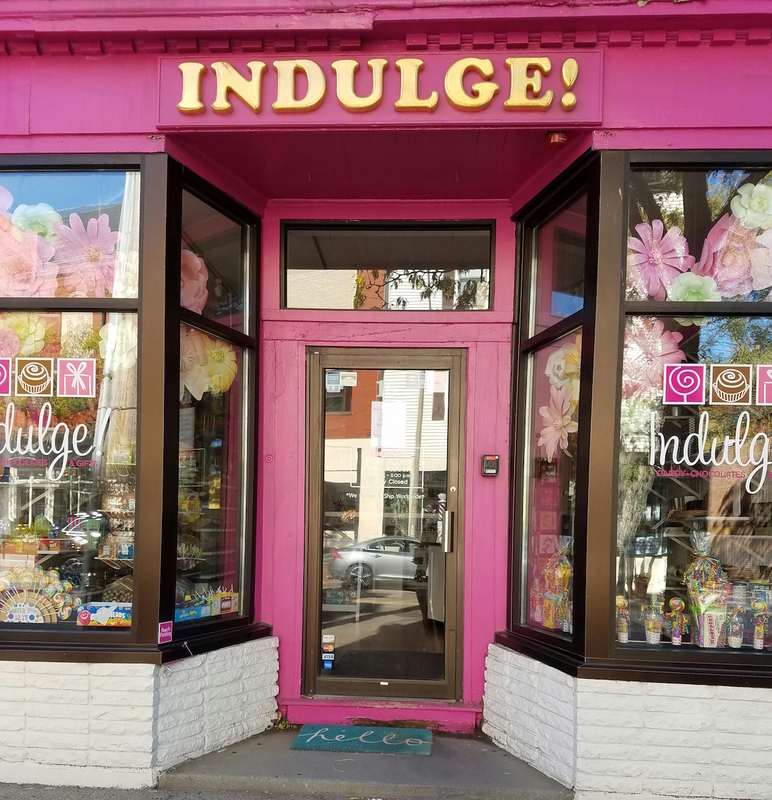 There’s a scene in Finding Perfect inspired by Indulge, the candy store I have gone to for years. It’s the place I took my boys when they were little. The place I still get my Twizzler stash. When you walk into the store you’re greeted with pops of bright colors and the sweet smell of sugar. Truly nothing better. When I got into Molly’s head to write her story, what I felt, more than anything else, was longing. A deep longing to have her family back. Her mom back. That was something I could relate to. You see, my mom died twenty years ago at the age of 55. She was my champion, the person who taught me to believe in my dreams and never give up. I totally get that deep-in-the pit-of-your-stomach-would-do-anything-for-just-one-moment-together feeling. The very thing that holds that feeling for me, and for Molly, is the perfume bottle that sits on my desk. 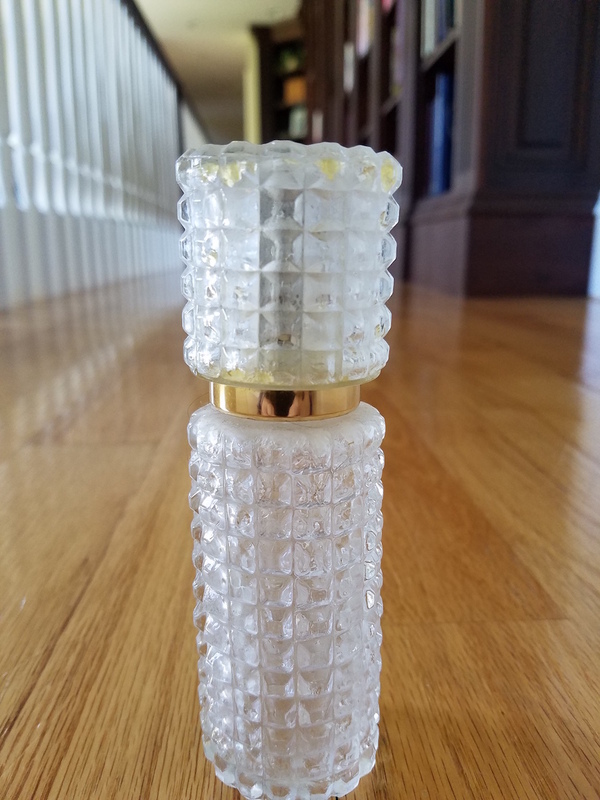 Twenty years ago that bottle held my mom’s perfume. She loved that perfume. I keep the bottle on my desk. I held onto the scent as long as I could, until one day, the fragrance faded. When I wrote Molly’s story, I hoped that was something she would never experience. Get your copy of Finding Perfect here! Finding Perfect is Elly Swartz’s debut novel. 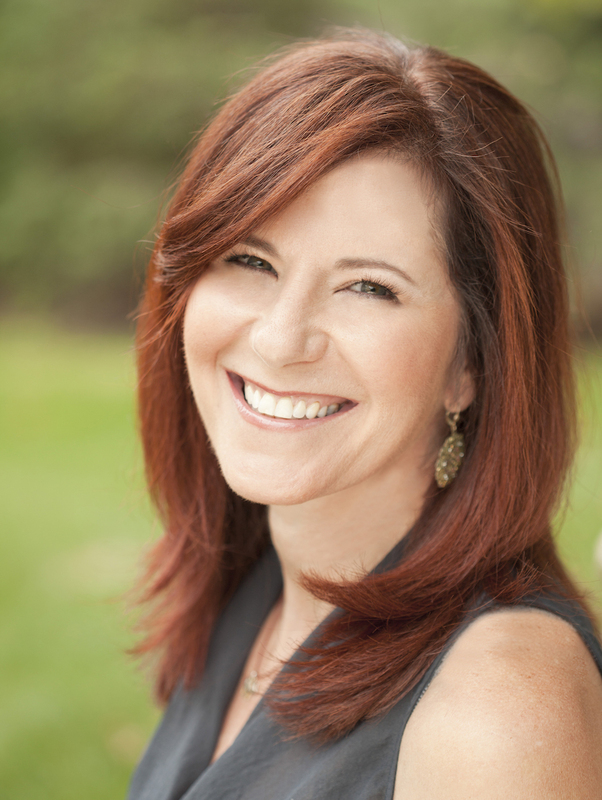 To find out more about Elly and her work, visit her at ellyswartz.com.